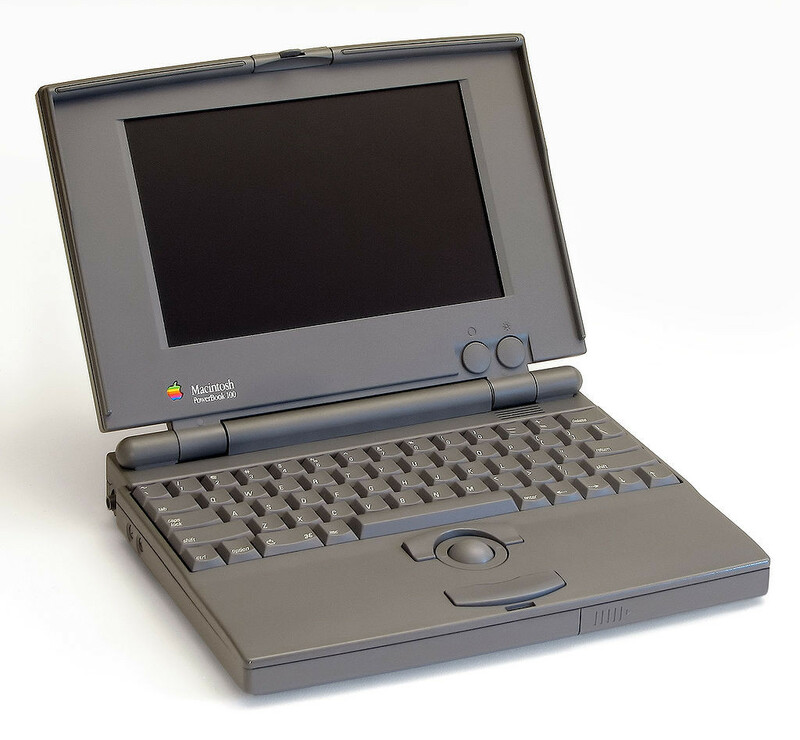 When Apple launched its first PowerBook range of laptop computers on October 21, 1991, it also set in motion a computing revolution by firmly establishing the recipe for the laptop computer that all leading PC makers are still following. Just as the telephone led to people’s demanding TV’s invention, the desktop PC had business users in particular asking when a genuinely portable counterpart would land. As the ‘80s became the ‘90s, Toshiba and Compaq had started on the right track and had taken an early lead in the very nascent laptop market. But Apple loves nothing more than a benchmark to beat. “Apple has done a very good job of letting the market test new technologies for a bit before they refine it and send it through the reality distortion field to make the tech new again,” said Smith. And the PowerBook was the perfect example. It was the lightest and best-looking laptop on the market thanks to some industrial design and miniaturisation input from Sony. But the single feature that made it revolutionary was an integrated trackpad and somewhere for the user to rest his or her wrists while typing so that it was actually comfortable to use. “Apple’s focus on industrial design and mobility paved the way for even slimmer PC designs to the point that tablets and 2-in-1 devices are now powerful enough to handle most day-to-day activities,” Smith said. The computer was an instant hit. 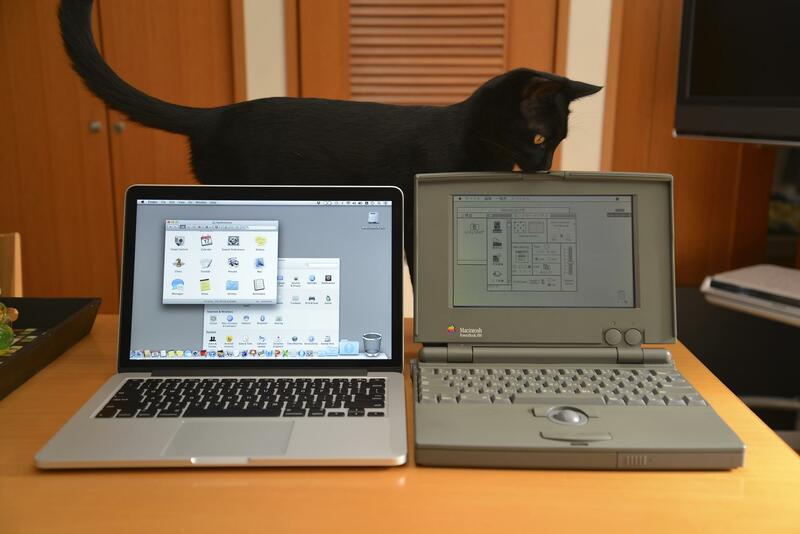 For a brief period, the PowerBook owned 40 per cent of the portable computing market. But within a year it was gone because once they’d got the recipe, it didn’t take long for other companies to catch up. And while Apple continued to innovate in the portable computing sphere, it wasn’t until Steve Jobs returned that those ideas — integrated Wi-Fi, titanium shell, USB ports, a widescreen display — would translate into sales and a return to the top of the market for premium products, at least. Since 1991 the notebook has gone from a business device to the de facto computer form. According to Strategy Analytics data, the global computer sales split is currently 65 per cent notebook versus 35 per cent desktop. When the original PowerBook launched, all laptop sales accounted for just 5 per cent of the entire PC market. “What’s particularly interesting is how Microsoft finally turned the tables on Apple with its Surface Pro 2-in-1 device precisely at a time — 2014-to-2015 — when Apple laptops were taking serious market share from PC competitors,” points out Smith. In just three years, the Surface Pro has potentially had as much impact on the world of computing — ushering in the two-in-one form factor — as that first PowerBook. “We estimate 25 per cent of all tablets sold will be two-in-ones in 2020, totalling around 60 million units,” explains Smith. But of course there is also still a big demand for innovative notebook computers and it’s no coincidence Apple is currently gearing up for the launch of its latest-generation MacBook Pro. But will it usher in another revolution?